Women generally earn less than men—but not always. Here are five occupations where women's salaries are equal to or higher than men's. Research from the Institute for Women’s Policy Research (IWPR) shows that if the gender wage gap continues to close as slowly as it has over the last 50 years, it will take until 2056 for women’s earnings to equal men’s. But that’s not necessarily true across the board, according to Katie Bardaro, lead analyst at online salary database PayScale.com. The frequently quoted statistic that women earn 77 cents for every dollar men earn is based on an overview of all pay, for all jobs in every industry, she says. “It doesn’t take into account factors such as women tending to take jobs in lower-paying industries such as teaching,” Bardaro says. In fact, “if you hold everything constant, women and men hold the same wage in a variety of jobs,” she says. 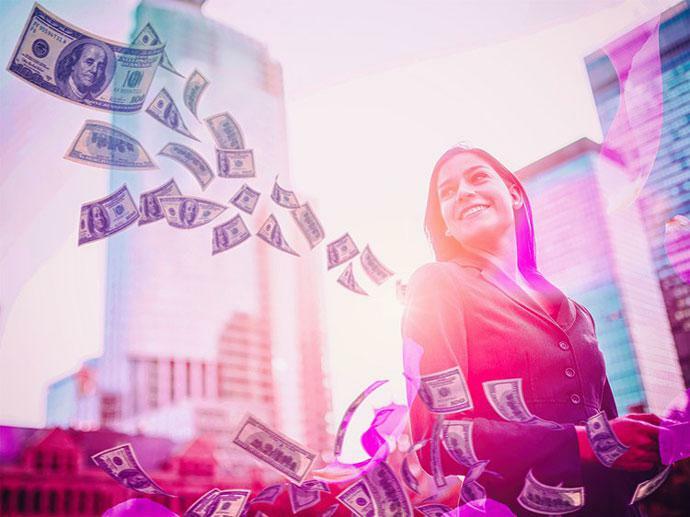 Based on PayScale’s study of compensation for full-time, private-sector employees in typically male-dominated industries, here’s a look at five careers that pay equal or slightly higher wages for women. Systems engineering is hot right now, especially in technology hubs such as Silicon Valley. Many engineers hold undergraduate degrees in computer science or math and work for a variety of companies and may have flexible schedules. Some who work for software vendors and consulting firms travel frequently, while others telecommute. Because IT is a relatively new profession, “it looks as if, from the beginning, there was less discrimination against women,” says Ariane Hegewisch, the IWPR’s study director. Electrical engineers don’t just work on power generators; they test equipment and design new and better electronics for everything from lighting and wiring in buildings to radar and navigation systems. These industries are historically more likely to be unionized, which helps to keep pay more equitable, says Hegewisch. Mechanical engineers have a hand in creating better car engines, steam and gas turbines, air conditioners, elevators and escalators, and even the robots used in manufacturing. A four-year degree is usually required to start. Data from the Engineering Workforce Commission indicates that 2.24 percent more women earned BS degrees in mechanical engineering in 2011 than they did five years before. Camera operators shoot video for television programs, music videos, motion pictures, documentaries and training sessions. Richard Pierce, spokesperson for New York University’s Tisch School of the Arts, says the school has encouraged women to enroll in the program by making female high school students aware of scholarship opportunities available to women only. He also says the growth of independent films has contributed to the number of women videographers. Computer repair is no longer just for the guys, partly because schools offering certificate and associate’s degree programs are recruiting more women, Bardaro says. The big win is that repair techs can earn degrees online and have flexible work schedules, she says. “With more opportunities to work from home…this field is more attractive to working moms,” Bardaro says. Find computer repair technician jobs. Source: All salary data provided by online salary database PayScale.com. Salaries listed are median, annual salaries for full-time employees of each gender at all years of experience and include any bonuses, commissions or profit sharing. The annual pay for the different genders was calculated by determining the characteristics of a “typical” male worker -- such as experience, education, company size, etc. -- then comparing pay for female workers who have the same characteristics. This method ensures an apples-to-apples comparison of pay between genders.